Last October we gave away a reproduction print, but we weren’t done there. 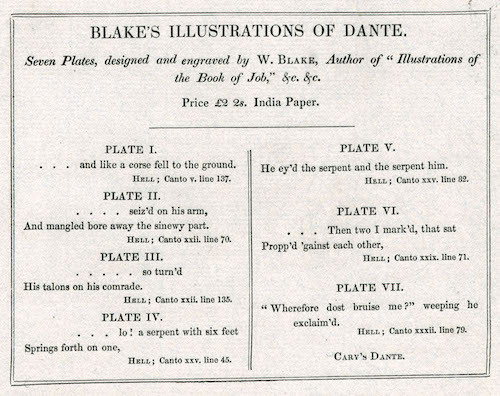 To continue our celebration of volume 50 of the journal, we have a copy of the Trianon Press facsimile of Blake’s Dante engravings, which was published in 1978 for the William Blake Trust. For this we are very grateful to John Windle, who donated it for the giveaway. 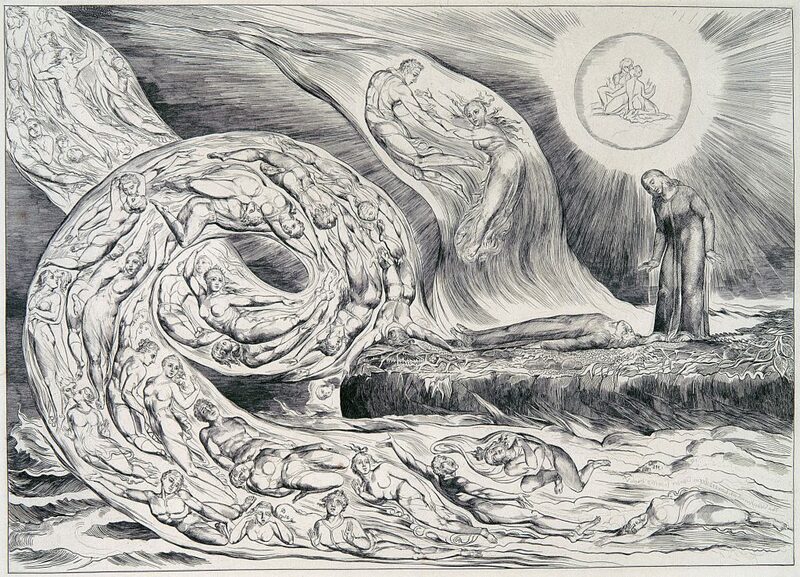 “The Circle of the Lustful: Francesca da Rimini.” Courtesy of the Blake Archive. 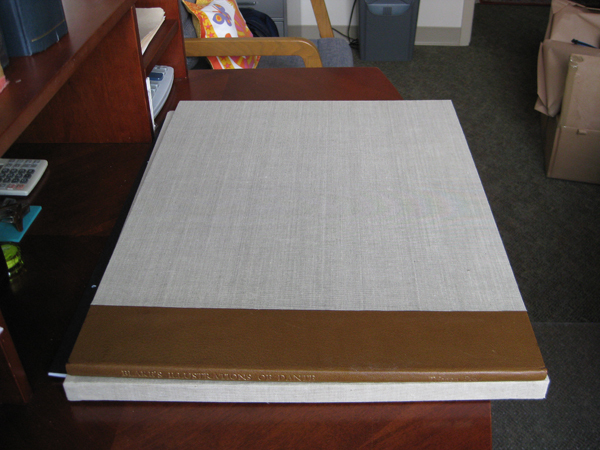 The dimensions of the book are enormous (an oblong folio) and it took me days to wrestle it from its packaging. Four hundred and forty copies were produced; this is no. 250 of the 376 regular copies bound in quarter morocco with cloth sides. Facsimiles of the seven plates precede an introduction by Geoffrey Keynes, three facsimile early states of the plates, and related drawings and watercolors (reproduced in reduced size in monochrome). The prize includes the book plus shipping to the winner’s address. To enter you need provide your name and an e-mail address, which will be used only in the case that you are the winner. One entry per person. To help us keep the appearance of propriety, please refrain from entering if you are on the staff or editorial board of the journal (contributors and subscribers may certainly enter) or if you work for the Blake Archive. Please don’t enter if you’ve previously won something from us. Most importantly, if you are the winner and a US taxpayer you must agree to provide the University of Rochester (where the Blake Quarterly resides) with a W9 form. It is your responsibility to pay income tax on the value of the book (US $195.00). Here’s the link to enter. We will draw the winner on 17 February. Good luck! Update: Congratulations to our winner, Joey Kim, and thanks to everyone who entered.